Yes, this is another post about hotel shampoo. I never thought I would write about this once, let alone twice, but thanks to KenetMD, Hyatt’s new shampoo/soap brand, here I am again. After my original post, I was contacted by KenetMD, who offered to send me some samples. They did not ask me to write a review. They didn’t ask me to do anything, other than to enjoy their product that they were proud to share. KenetMD is now the brand standard for Hyatt Regency and Hyatt Resort properties. KenetMD also makes a special formulation for Hyatt Respire rooms, which is fragrance-free and hypo-allergenic. The product offering seems to be the same at Hyatt Hotels and Hyatt Resorts except that the bottles are 2 ounces at resorts vs 1.25 ounces at hotels. Fans of the Portico “bumpy soap”/massage bar will be pleased that this is not going away. This product line is a collaboration between NYC dermatologist Dr. Barney Kenet and hotel amenity provider Gilchrist and Soames. Thanks to the samples I received, I’ve been using the KenetMD products for a few weeks now, and while they are a definite improvement on the overpowering White Ginger scent, I’m not totally in love with them. Mild is probably the best description. The shampoo, conditioner, and body wash have a light lather but the soaps do lather up well. The lotion is nice, absorbs well, even in the middle of winter here in chilly Wisconsin. All products have a pleasing but very mild scent. It is a blend of mandarin oranges, green tea, and eucalyptus and lemongrass. The products are declared to be Eco-friendly since they are 100% recyclable, never tested on animals and contain no animal products. I’m no expert on skin care products, but these contain no parabens, phthalates, DMDM, SLS, or ALS. Please let me know if you interested in these details, I can share more info from the marketing materials I received. 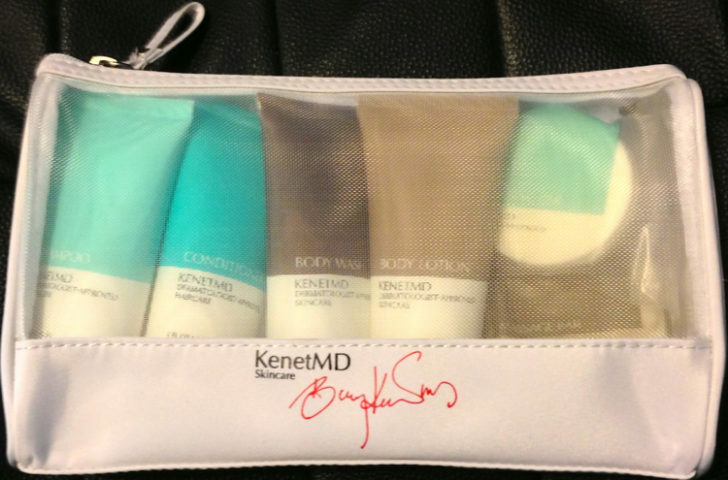 I’m pleased that Hyatt has replaced the awful-smelling White Ginger with the mildly scented KenetMD products. In my opinion, its a big improvement. Thanks to the preview I got, I’ve already experienced it, but I’ve seen reports of these being in Hyatt hotels. I have some Hyatt stays coming up, so I’ll likely get the opportunity to use these on the road. Have you tried KenetMD products? What’s your opinion? Currently, KenetMD products are no longer available for sale. 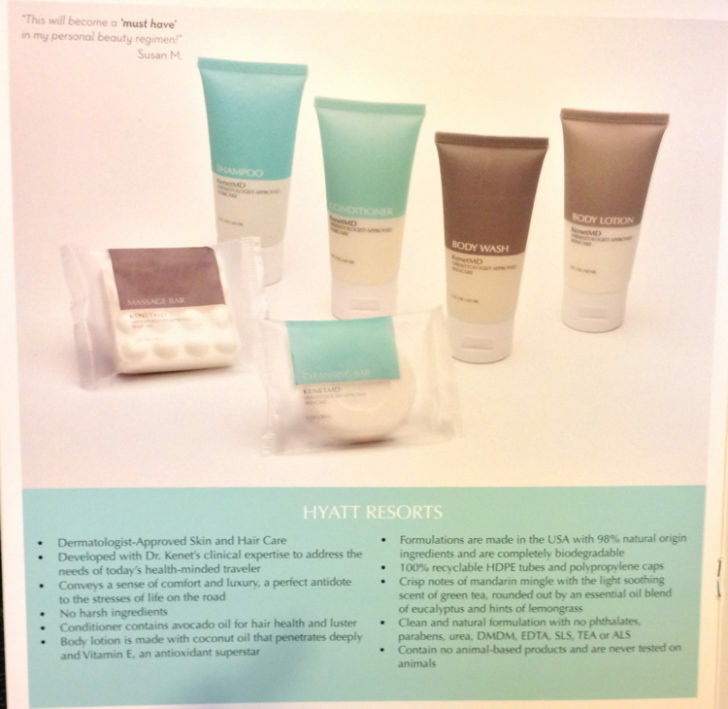 Hyatt has exclusive access to the products offered in hotels, and have stopped retail sales. KenetMD products are now available for sale online!